Judas Priest vocalist Rob Halford will release a 14-disc box set this spring detailing his work outside of the legendary UK metal pioneers. Due May 19, “The Complete Collection” will deliver four albums by Fight, the lone record by 2wo, and seven titles from the solo band Halford. The rocker launched his solo work with Fight after leaving Judas Priest in 1992. A pair of studio albums was followed a by two compilation records by the time the band shut things down in 1995. After Fight, Halford collaborated with guitarist John Lowery (John 5) in an industrial-influenced project called 2wo which was executively produced by Trent Reznor and released on his Nothing Records label. 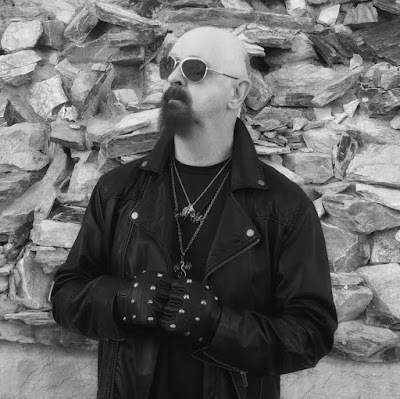 The singer launched solo band Halford in 2000 with the highly-acclaimed release, “Resurrection”, and 2002’s “Crucible” before reuniting with Judas Priest for 2005’s “Angel Of Retribution”; Halford would go on to release two more solo band studio records and a pair of live albums. The group are currently working on the follow-up to 2014’s “Redeemer Of Souls” with plans to release a new album this year before returning to the road in 2018.